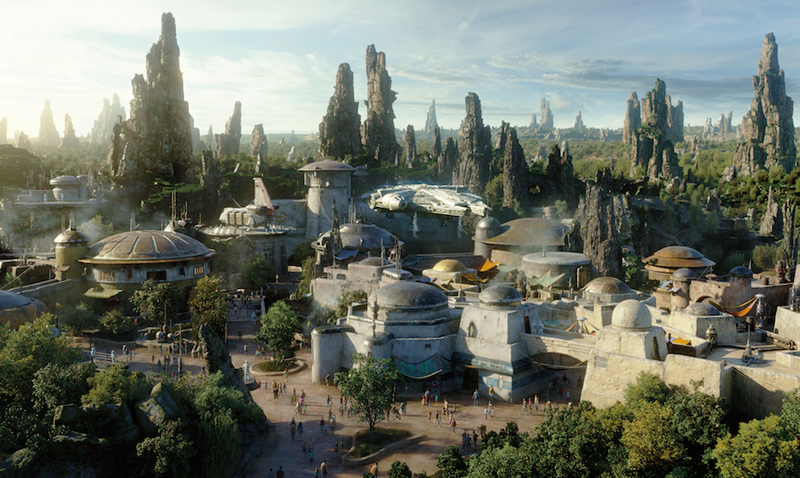 Announced to the world in the summer of 2015, Disney’s Hollywood Studios has seen an unprecedented scale of investment to bring a new land for theme park fans and of course, STAR WARS fans to experience in person. Disney’s latest ‘land’ will struggle to avoid the term ‘Star Wars Land’ but with an official title of Star Wars: Galaxy’s Edge, it’s entirely up to you what works best! Why are we dedicating a whole blog post to Star Wars at Walt Disney World? Please read on! With continued growth, the typical annual increase in tourism within Central Florida is around 3-5% each and every year. Sure, blips occurred for the two Wizarding World of Harry Potter areas at Universal, but we’ve also experienced huge expansions at New Fantasyland in the Magic Kingdom, Volcano Bay water park near Sand Lake Rd and literally dozens of high level attractions still in the works at all of the major theme parks. Even Orlando International Airport – MCO is awaiting its 3rd Terminal (opens in 2021). Orlando is beating all records to be the destination of aspiration. We will talk more about that later! That’s where Reunion Resort steps up to serve the luxury travelers! Disney Won’t Market Star Wars: Galaxy’s Edge!! “I would say on the marketing expense side, don’t expect much,” Iger said. “I am thinking that maybe I should just tweet, ‘It’s opening’ and that will be enough. Now that kind of comment in an annual report takes some guts, and indicates a huge level of confidence that this latest new development is going to be a ticket seller like no other. Here’s a bunch of thoughts on the Star Wars effect at Walt Disney World. If we have missed something, do please write to us and we will add to this article. The parks will get busier, especially at peak times, so a multitude of effects can benefit Reunion Resort owners. Ticket prices at WDW will increase to meet the supply/demand model. Visitor numbers will substantially increase in the coming years, most likely over and above the historic 3-5% mark. Disney is inching its way to become an exclusive luxury brand and that ties well with Reunion Resort. More travelers will bring more money, and seek a higher level of vacation experience. Ever met a Star Wars fan? They go to almost any length to enjoy their obsession with the Dark/Light Side of life! Some owners have tapped into ‘space themed’ rooms already and with great results, but don’t overdo it and don’t feel left out if you don’t want to do it either! Not everyone wants to open their eyes and see the Millennium Falcon hovering over their head at 3am on the way to the bathroom! But of course some do and love it so. With a large influx of space travelers about to ‘hyperdrive’ into Orlando, now is probably a good time to upgrade decor and furnishing anyway, regardless of whether it’s themed or not! You want to make your home as attractive as possible when future guests are booking online. You also want them to have a great experience during their stay and leave outstanding 5 star reviews! We hope you enjoyed this article, it’s a little different to our usual posts, but we enjoyed creating it. May the Force be with you and we hope it brings you many, many bookings!